One of my 2019 goals is to make monthly self-care goals. Being a full time single mama and business owner, I have a hard time making time for myself as I almost always put the needs of others above my own. I have found that in order to be a good mom to Aimery, taking time to focus on myself is SO important. Even just washing my face or conditioning my hair can really make a huge difference! Keep reading for three ways I’m focusing on self-care in February. Probably the best thing I can do for myself is silencing my phone and taking an hour or so just for myself. Although some weeks this may only happen once, I love having the opportunity to do a face mask, drink a cup of tea, and take a long enough shower to wash my hair without my toddler banging on the door (moms, you know how valuable this time is!). Since I am a single mom, these moments pretty much only happen after bedtime. But it’s time for just me to focus on myself and be ready to take on the next day, and I make them a priority! We all know how important it is to wash our face daily, especially to clean our face of make up at the end of every day. No matter how tempting it may be to jump into bed after a long day, always always always wash your face with a good cleanser! 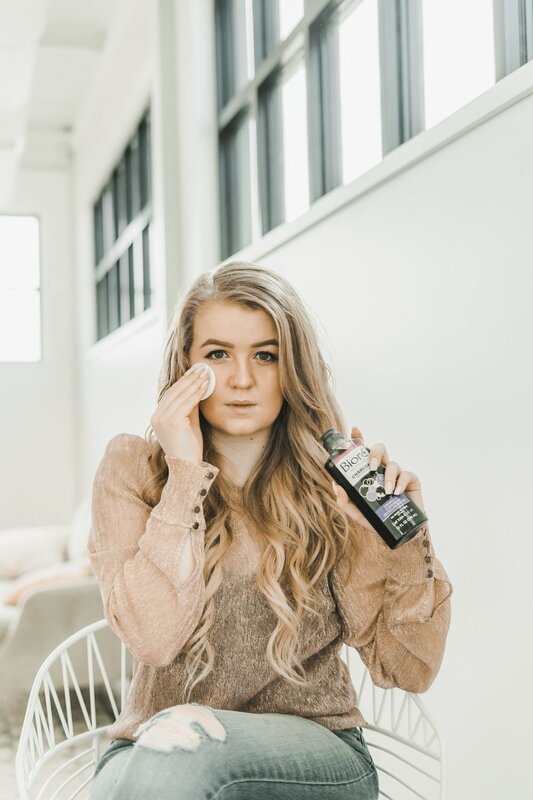 I started using Biore® Charcoal Cleansing Micellar Water at end of every day to take off my make up and deep cleanse my face. I love that this all in one product allows me to quickly get ready for bed! I’ve also started making an effort to wash my face in the morning in order to start with a clean fresh pallet before getting ready for the day! I picked up Biore® Charcoal Cleansing Micellar Water at Rite Aid , and from now until 2/10, you can save 25% off any one Biore item! 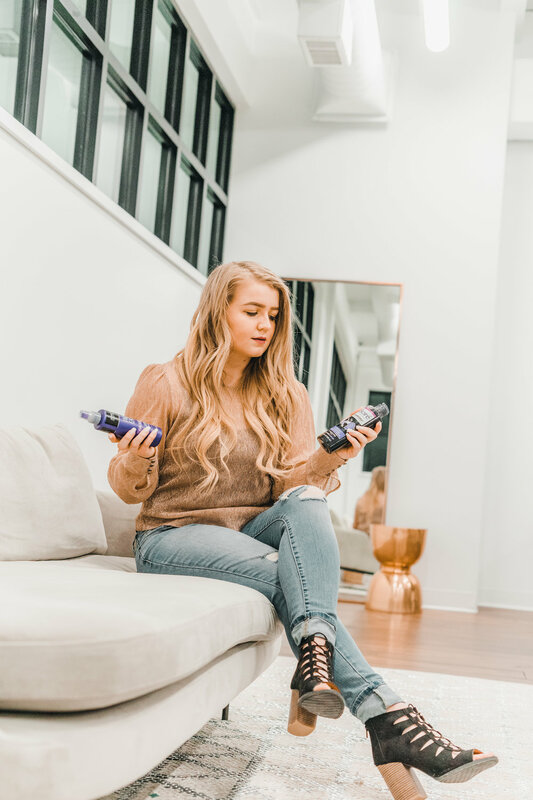 I have a confession to make… Up until recently, I never really paid much attention to conditioning my hair and how important it is for overall hair health (ahhh!). You guys, it’s so great for your hair to use a good leave-in conditioner, not only to nourish your hair, but also to protect your hair against heat damage! I use Frizz-Ease® Daily Nourishment Leave-in Conditioner after I wash my hair. When my hair is still wet, I apply the leave-in conditioner in order to have a foundation for frizz-free styles! For you girls with more coarse or curly hair, it works great on day two hair to give hair extra nourishment. Focus on the ends and avoiding the roots to help smooth away any frizz! One drop, frizz stops. You can also pick up this John Frieda product at Rite Aid and starting on 2/10, look for it with BOGO 50%.